I had an amazing Christmas. Santa spoiled me with lots of kitchen goodies, stuff for my room, fuzzy socks that are super warm, a PIZZA stone (YAY!) and last but not least, a Nintendo Wii!! Actually, my grandparents in Ohio mailed us the Wii. Aren’t they the coolest grandparents EVER? Ever since the Wii came out I’ve been playing it at my friend’s homes and wishing I had one! It was such an awesome surprise to now have one as our own! We have Wii Sports and Wii Sports Resort but my favorite game by far is Super Mario Bros. Wii. I’ve spent most of my Winter Break playing Wii, haha! I won Mary’s giveaway and she sent me an adorable mug and some homemade treats! 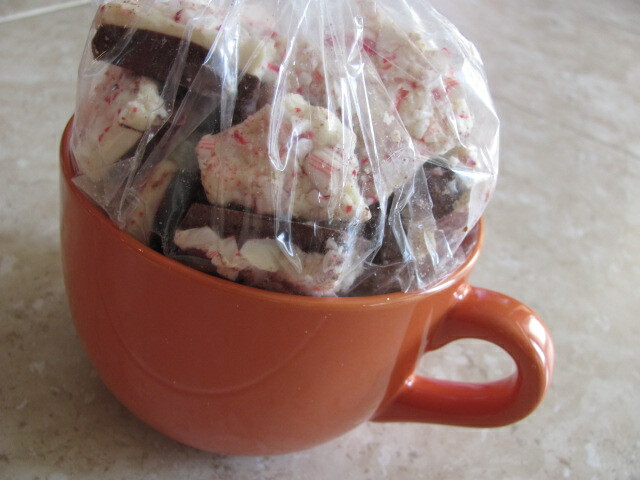 I love the mug, it’s exactly what I would pick out for myself at the store and the cookies and peppermint bark were the best I’ve ever had! The mug has come in handy and is getting lots of use! 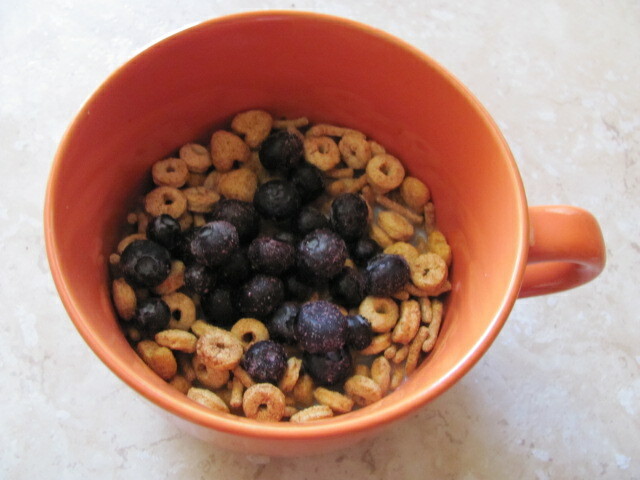 For breakfast today I had Kashi Heart to Heart cinnamon cereal with Fiber One and frozen blueberries! And the other day the glorious mug held my green monster! Topped with the last of the chocolate gingerbread granola I made a few weeks ago and Ashley’s Pumpkin Spice Almond Butter that I finally FINALLY made! The almond butter is AH-MAZING! You MUST go and make it! 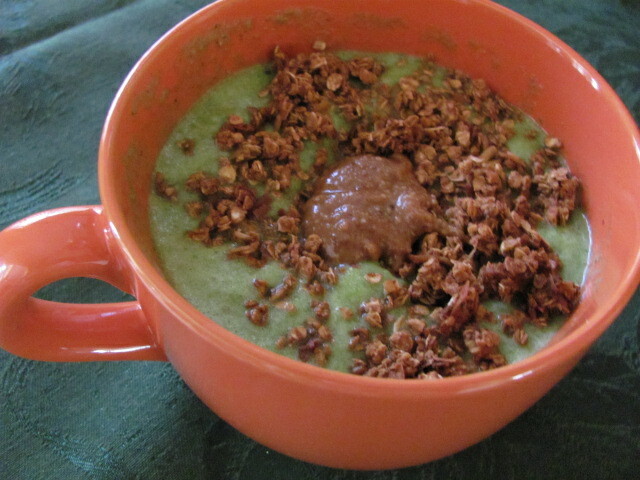 I was a little worried that the Vitamix wouldn’t be able to work with 2 cups of almonds but it was mostly fine. The Vitamix would get overheated, so I had to wait 1o minutes, let it cool down. But in the end, all was well! It makes a lot, so store in the fridge. And it only gets better with time, the longer the flavors have to meld together…the more flavorful it gets! True, it is a piece of work to make, but it is oh-so worth it! I thought it would be worth a shot! And the stuff is so addicting! I need a bigger food processor SO bad so I can make nut butters!!! I’ve always been curious about almond butter but I don’t have a food processor to make it at home as yet 😦 I love that mug by the way! Pretty color! That mug is so cute. I am jealous of your win. 🙂 I have been wanting to try almond butter for quite some time (and to also get a vitamixer). PS – Enjoy the Wii! Your mug is so darling!!! I am totally jealous! That spiced almond butter sounds delicious. I would go make some this instant if I had some almonds….I just ran our this afternoon, but don’t worry, I will be picking some more up soon! that sounds so good! i love almond butter and pumpkin.. so putting the two together has got to be a win! And the almond butter looks absolutely delicious! the pizza stone will forever change the way you reheat pizza 🙂 oh so good – so much butter than the microwave! glad to hear you had a fab. chirstmas girl! That mug is getting quite the usage isnt it!! i have the same one in yellow and its amazing..great for hot and cold food and everything in between! gotta try a mini salad in it tho, now that would be fun huh! I love pumpkin and peanut butter togethter! 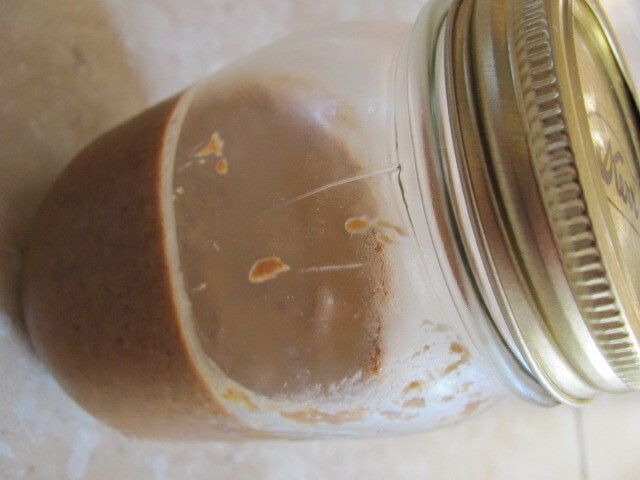 So the almond butter and pumpkin sounds AHH-mazing like you said! Wow! I’m going to have to give that a try! I made that almond butter a couple weeks ago and totally FAILED on it haha. I ended up adding water to thin it out and you can just guess what happened… oil and water don’t mix (DUH!!) Anyways, I was actually planning on making it again sometime this week, wish me luck!